Wait for the sound queue (you'll know it when you hear it) or wait for the "Draw!" text to appear before you shoot. It takes 5-10 seconds after the walk. Shooting before that indicates a loss, cheater. You are Agile Anders, rumoured to be the fastest in the west. Anyone would want to have that title, and so Cunning Clint stopped by, and wanted to ask how fast that hand really is. Show him who is boss! 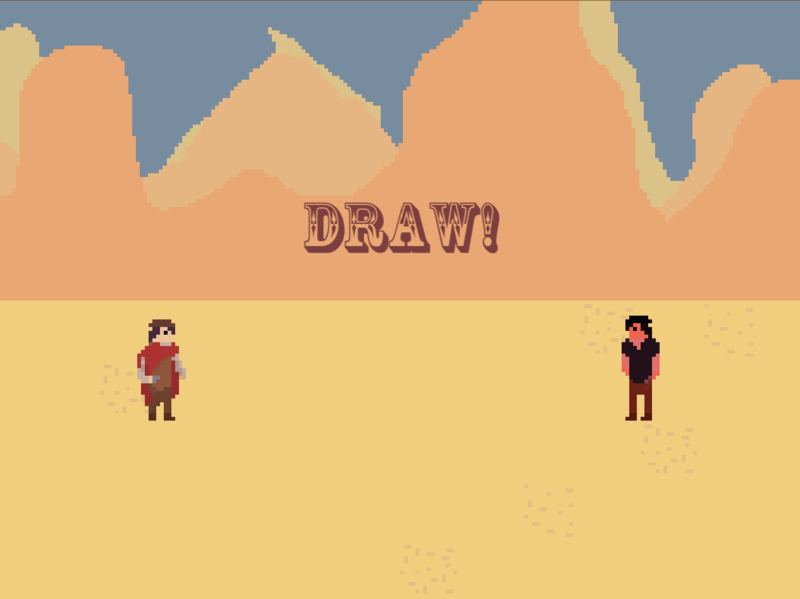 Hi, I couldn't help but notice the similarities of our games https://optionaltoo.itch.io/quickdraw. 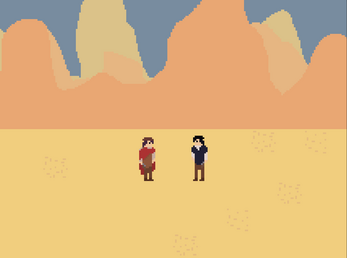 The tumble weed is always a nice touch, I would've like to have seen in in the game play for added tumbleweed suspense. Music during the game play to add suspense would have been nice but I understand if you were under time constraints. Thanks for your time trying my game out! 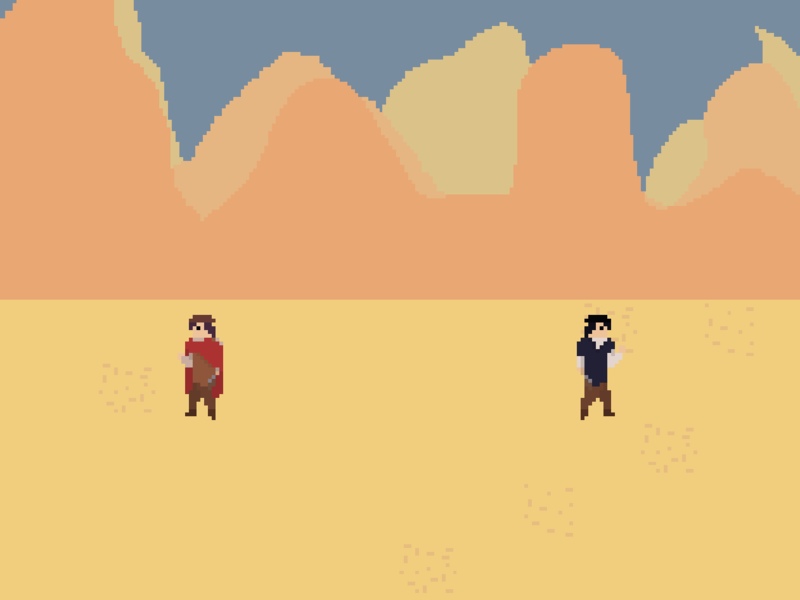 I was honestly under a time constraint since I had school, so I had a vision to make a simple game like this to make up for time! Why is the background moving if we are standing still? 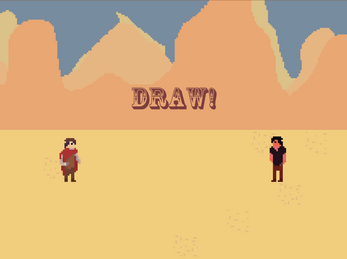 Thanks for your time to try out Quickdraw!